If you want to enjoy the beauty of Sosua and be within walking distance to the fabulous beach, then you should seriously consider checking out this awesome villa. Located just 5 minutes away from downtown Sosua and the beach, this villa is certainly in a great area. In fact it is close to several amenities including restaurants, clubs, bars, and shops. The town of Cabarete is only 15 minutes away, whereas Puerto Plata is about 45 minutes away. Apart from its convenient location, this villa is certainly worth checking out for its beautiful exterior and interior. From the well-kept front garden and spacious driveway, you will then be led to the elegant interior. There is a cosy living area with a sofa set and TV overlooking the beautiful view. The television comes with satellite/cable. A similar sofa set is available on the front terrace too so as to enable you to enjoy the day or the evening taking a breath of fresh air and enjoying the sunrise or sunset. The villa comprises four spacious bedrooms and three bathrooms. All the bedrooms have comfortable beds and bed linens matching the curtains at the windows, which all boast of a nice view. The bathrooms are close to the bedrooms for your convenience and they are all in very good condition. Towels and linens are provided too. The villa has a nicely laid out kitchen equipped with a refrigerator, stove, microwave oven and toaster. You will also have a washing machine and a safe. Wireless internet is available as well. Air conditioning is also available for your utmost comfort. As you want to make the best use of the villa, you will certainly love the beautiful swimming pool. With crystal clear water and surrounded by a spacious area with palm trees, you will be able to swim or lounge there to your heart’s content without having to worry about privacy. Even though the beach is only a few minutes away, people who decided to rent this villa commented that they never had enough of this beautiful pool. Besides it overlooks the beautiful green landscape, so you will benefit from privacy, refreshing water, and great views. The villa has a well-tended patio and a BBQ as well. The private garden, the terrace and the patio all boast of beautiful views of the ocean or the greenery around. With the calm setting and tranquil ambiance, you will feel as if you are in heaven when staying in this villa. 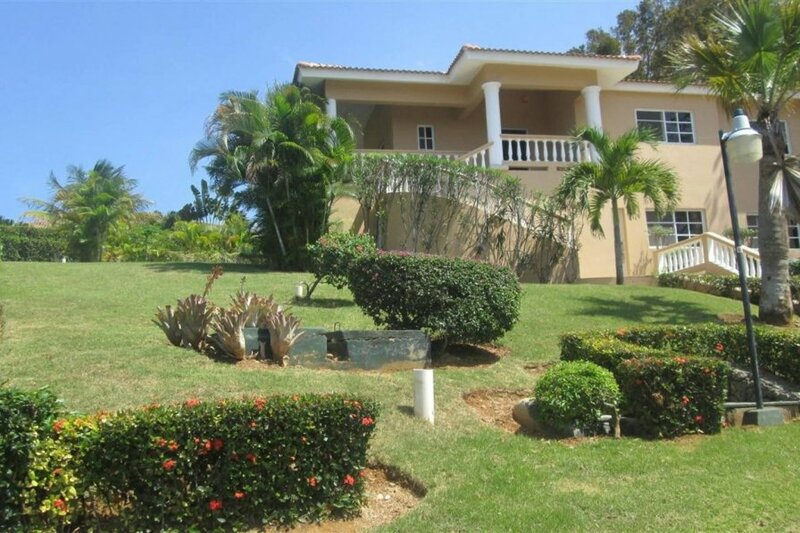 And the best part is that despite the fact that the Residencial Hispaniola area is so peaceful and serene, the rental price for this villa is only $275 per night. Thus, it makes a perfect option for honeymooners who want to have a memorable honeymoon without breaking the bank. It is also a great choice for couples who just want to enjoy a tranquil vacation to unwind from the hustle and bustle of normal working days. Since the villa has four bedrooms, it is also ideal for family vacations. Children will love to splash in the pool and the beach is so close by that they will spend most of the time in the water for sure. So if you are looking for a tranquil weekend break, or a memorable vacation, this villa can certainly enable to have the time of your life in a beautiful area. Equipped with all you may possibly need, including a concierge and maid service, you will feel like a VIP in this villa!